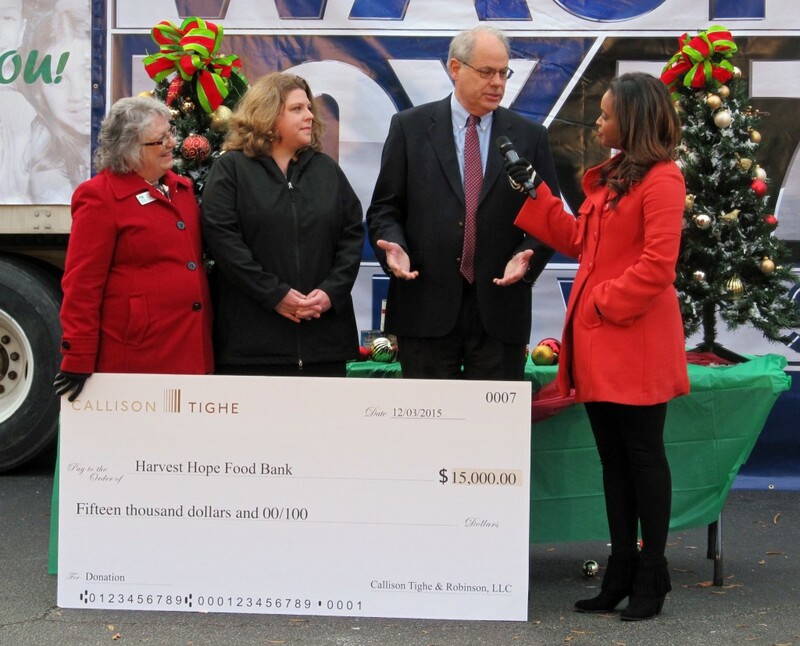 COLUMBIA, S.C. – In a year of unprecedented need for South Carolina, local law firm Callison Tighe & Robinson donated $15,000 to Harvest Hope Food Bank. In June, Harvest Hope pantries were hit hard as families struggled to feed kids who usually eat school-provided meals and, with the thousand-year flood in October, the hunger-relief agency experienced even greater demand for food relief. 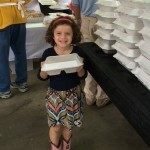 Callison Tighe rose to help meet that need, continuing its commitment to help hungry families in the Midlands by making a $5,000 donation to Harvest Hope in June and another $5,000 in October. These donations, followed by the firm’s annual holiday gift to the agency, brought its total contribution to $15,000 for the year, which will provide as many as 75,000 meals. 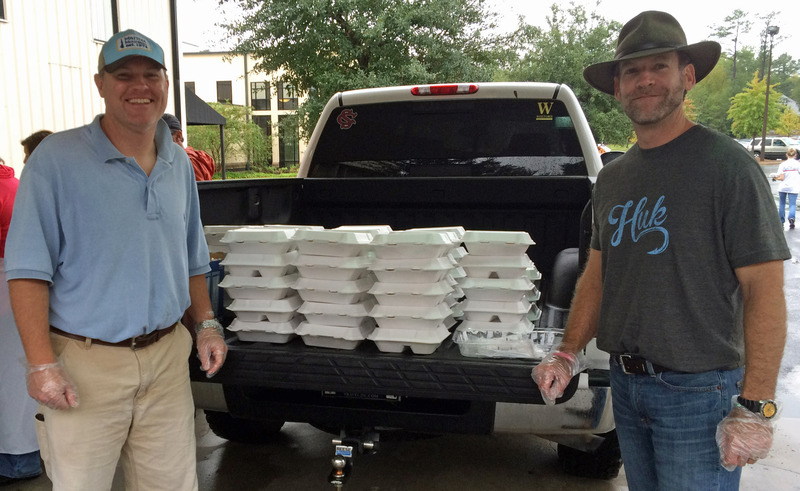 Since the October flooding in South Carolina, Harvest Hope has provided food and water equal to 2.2 million meals for disaster relief, over and above its normal demand. The food bank’s distribution in November has been 80 percent higher than normal, while food donations have been only 25 percent higher, putting a strain on the organization and its future resources. Callison Tighe often has taken a hands-on approach to helping others. 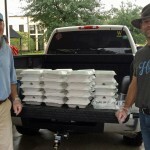 Like many others in the community and around the state, the firm stepped up to help with flood relief. 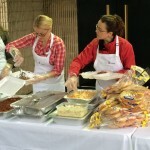 Attorneys and staff cooked and served barbecue to more than 200 flood relief volunteers. To learn more or donate, visit harvesthope.org and click on “Donate Now,” or call (803) 254-4432. 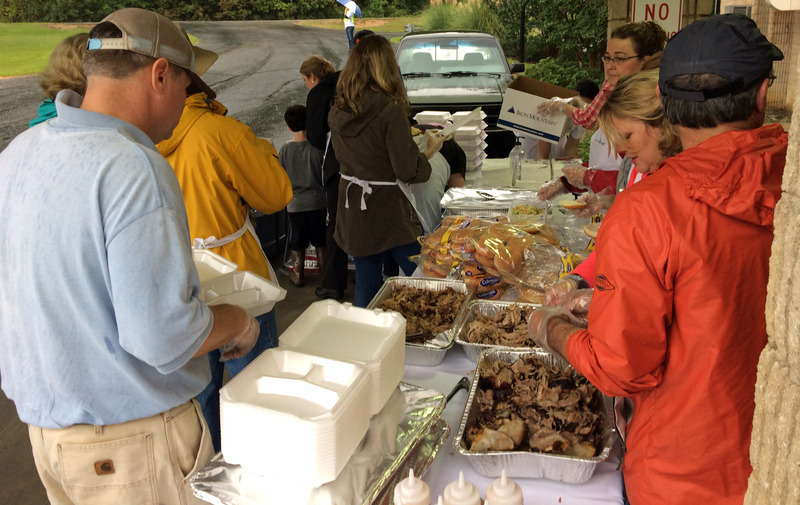 Pulled pork sandwiches, baked beans and deserts were on the menu this fall when Callison Tighe attorneys and staff prepared lunch for flood volunteers. Yes, they deliver. 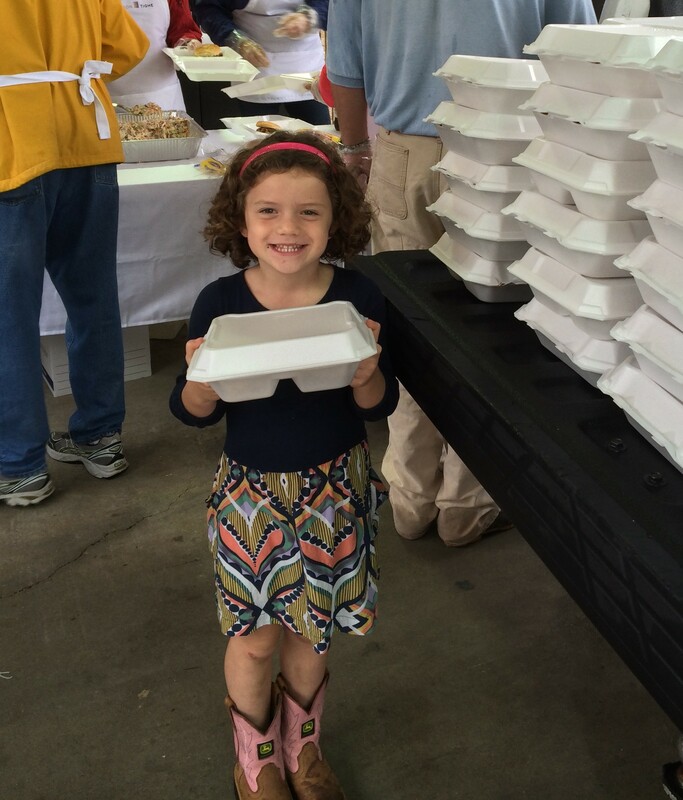 Callison Tighe attorneys and staff provided lunches for flood relief workers this fall. 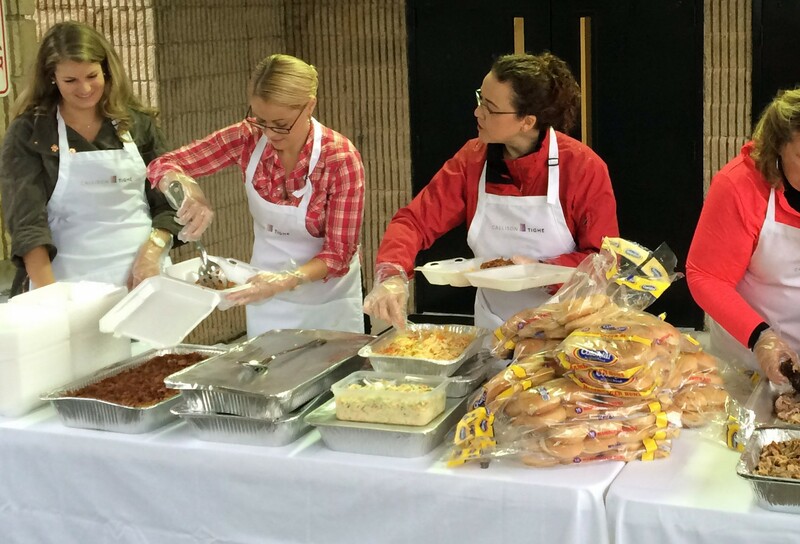 Staff and attorneys at Callison Tighe work to prepare barbecue lunch for flood relief volunteers. 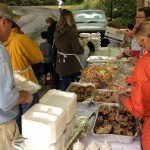 Callison Tighe attorneys, staff, and family were all there to serve BBQ to flood relief volunteers.